The remarkable, award-winning MNP Tower at 1021 West Hastings Street is home to professional, modern office space in our Regus Business center. This prestigious waterfront address is an excellent central location to do your best work in Vancouver’s thriving business district. 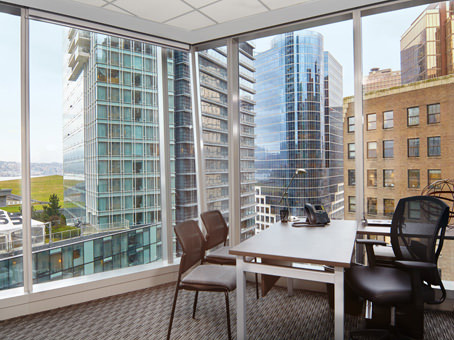 Windowed offices and meeting rooms boast stunning views of the Northshore Mountains and the Burrard Inlet. And just outside the door, you’ll have fast access to West Hastings finest restaurants and retail by foot or SkyTrain. With two floors of workspace, it’s the perfect place to work on the go, meet clients and build your company. Network with professionals in oil and gas, law, finance and more in downtown Vancouver’s diverse business community.